December 31st, subways, trains, RER and buses will circulate all night throughout the Ile-de-France. And for free! As every year, public transport will be free throughout the Ile-de-France. 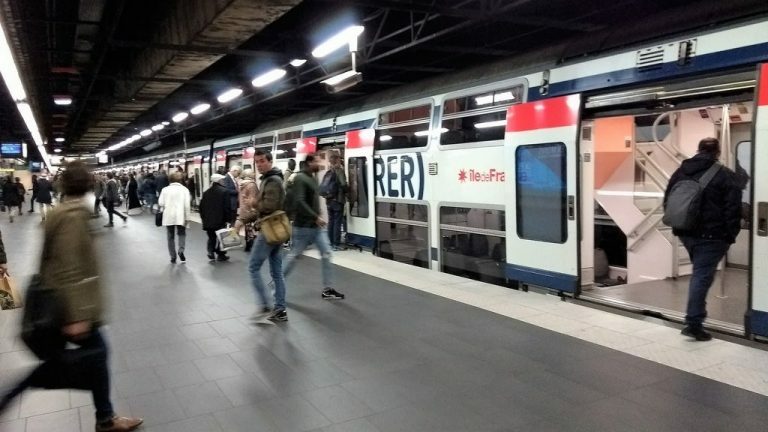 “Ten lines of trains and RER, 6 subway lines and many bus lines (Noctiliens and special circuits) will work all night,” says Ile-de-France Mobilités in a statement. From 2:15 am, lines 1,2,4,6,9 and 14 will continue to operate until the complete reopening of the network from 5:30. Note that not all stations will be served. While lines A and B of the RER will run in both directions all night, lines C and D as well as some branches of the lines H, J, L, N, P and R of the suburban trains (Transilien) will circulate to variable frequencies, and only in the Paris-suburbs direction. – the lines starting usually of Châtelet are modified. – N24 at Gare Saint-Lazare. Two lines usually departing from Gare de l’Est are also modified: the N144 will take its first passengers to Gare de Lyon and the N145 to Gare Montparnasse. The itinerary modifications will be specified on board all the vehicles of these lines. – Line 601: The Raincy – Villemomble – Montfermeil RER / Montfermeil Hospital. – Line 617: Aulnay-sous-Bois RER / Villepinte RER. Ile-de-France offers a special new year guide.